The City of Arvada's 2016 Parks, Trails and Open Space Master Plan directs big-picture decisions and funding priorities for the next ten years and ensures that the City’s parks system meets the needs of the growing community, changing demographics, development patterns, and outdoor recreation needs. In July 2015, the City met with key stakeholder groups, volunteer groups including the Arvada Park Advisory Committee, and invited public input online and in person. Four themes emerged during this phase of gathering information: Community, Parks, Wellness, and Nature. The themes support the Master Plan’s big idea of “Green Spines” which aims to connect the community to the park system, transit options, and cultural destinations with routes designed for biking, walking, and active (self-propelled) transportation. Residents enjoy the park system but want more information on park and trail events and amenities. Creating new parks and expanding activity and amenities in parks are highly supported. The public desires system equity and greater connectivity of the local trail system to parks, open spaces, cultural destinations, and regional trails. This connectivity can encourage outdoor recreation, which can also benefit public health and wellness. 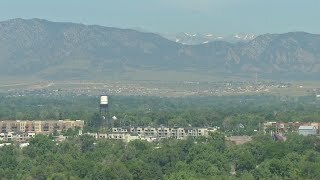 The Arvada community passionately supports protection and expansion of natural areas. In April 2016, Arvada City Council Adopted the 2016 Parks, Trails and Open Space Master Plan.